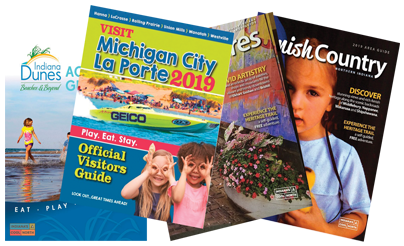 It’s hard to imagine nine days filled with more activity, shows, competitions, rides, food and just pure fun than you’ll find at the Elkhart County 4-H Fair in Goshen. No wonder this annual extravaganza ranks as one of the largest county fairs in the nation, with 202,560 guests visiting last year. But there’s plenty of room for everyone and some unique activities to enjoy along with the tried-and true-fair staples everyone loves. Families flock to the Youth Agricultural Area, where farm offspring fill Young MacDonald’s Barn. Kids can pedal through the farm-to-market course and have a blast finding their way through the straw bale maze. Entertainment centers on the fairgrounds host great daily performances such as the Arctic Olympic Games High Dive Show, where trained penguins demonstrate amazing feats, and the Ninja Experience with big stunts, special effects and audience participation. But, of course, this IS the 4-H Fair and it’s both exciting and heartwarming to watch all the judging that goes along with it as 4-Hers show their livestock, poultry and more. But the talents of the young people covers an even wider range. Take a look at the exhibits of culinary arts, creative crafts, photography and quilts, to name just a few. Competitions that include everything from the best ribs to the longest apple peel to the Homemade Ice Cream Crank-off show off more unique skills. Naturally, the fair is filled with non-stop entertainment, including five nights of shows on the Grandstand stage that range from the rock sounds of Daughtry to the contemporary Christian music of Newsong. You can buy tickets for reserved track seats for the performances, but Grandstand seating is free, on a first-come basis. In addition to the big stage performances, rodeo, harness racing, and demolition derby are all on tap. 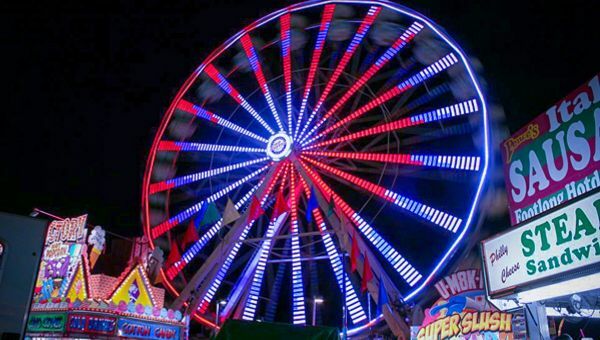 Once again, North American Midway Entertainment will bring fabulous carnival rides for all ages. Take advantage of special bargains during four wristband days and Kids Day. Wonderful little surprises await if you take the time to peruse the extensive fair schedule and just roam the grounds. You’ll find places to learn, such as farm-to-table cooking classes for kids and talks by master gardeners, and places to participate, perhaps in a fun run or yoga. The organizers of the first fair, held in 1851 on the courthouse square, probably never dreamed of how big it would become or how much enjoyment would await fairgoers in 2018!